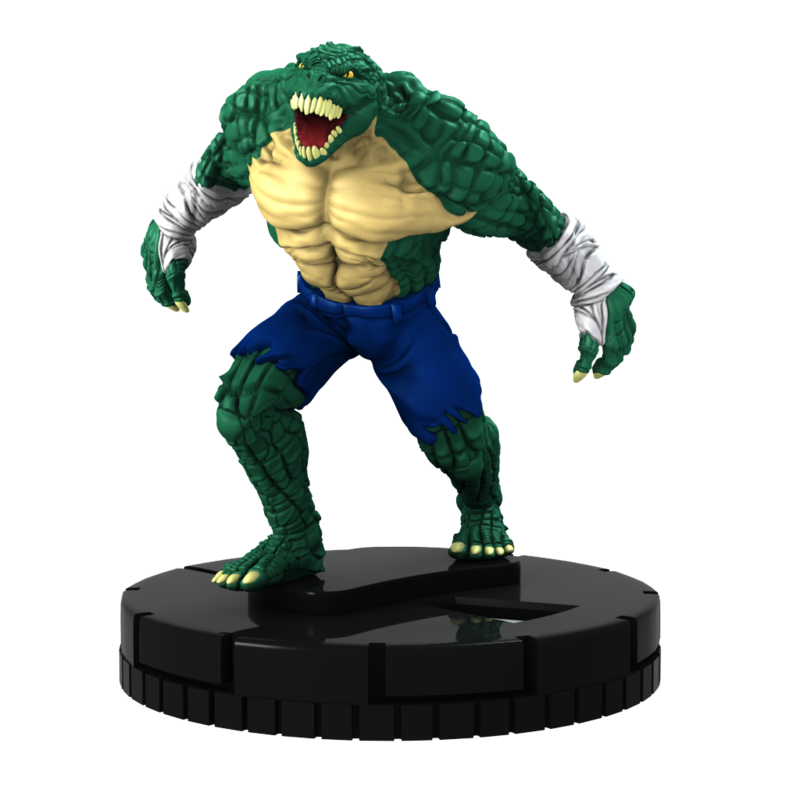 A new entry into the HeroClix Strategy Game lineup with a little something extra for HeroClix PAC fans! 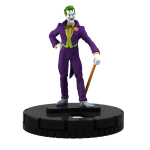 The Batman: Gotham City Strategy Game features 5 brand new pre-painted sculpts of The Joker, The Penguin, Killer Croc, Two-Face & Batman on our new HeroClix SwitchClix bases and includes 2 sets of HeroClix dials! The first set of HeroClix dials are designed for the ruleset of the Batman: Gotham City Strategy Game and the second set of dials are designed for HeroClix PAC play. 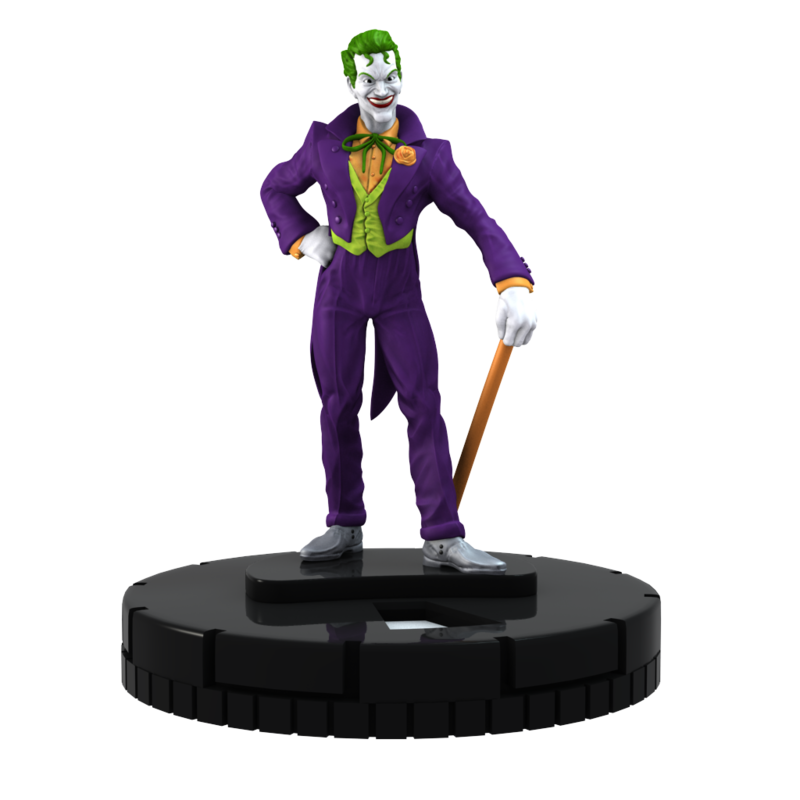 The SwitchClix technology allows us to deliver 2 play experiences using both of these HeroClix systems and does not constrain design or playability. 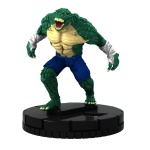 In effect, you get two HeroClix games with one purchase! 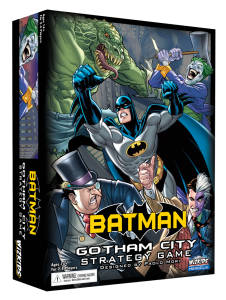 The Batman: Gotham City Strategy Game is a game for 2—4 players who will each take the role of one of Batman’s iconic Villains— The Joker, The Penguin, Two-Face or Killer Croc. Players collect resources of Information, Money and Threat. 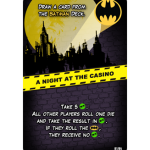 Threat is used to exert your rule over blocks in Gotham City— control of blocks will allow you to collect an income on these blocks of either Information or Money. 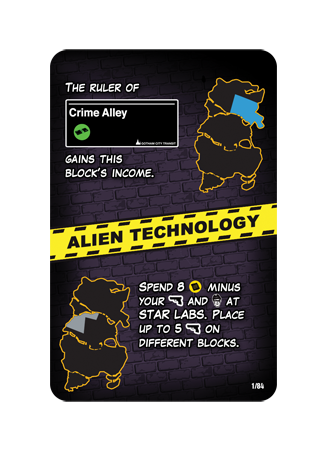 Money is used for leveling (see below) and to hire henchmen who will not only help you exert rule in blocks but also help you in fights against other Villains and Batman. 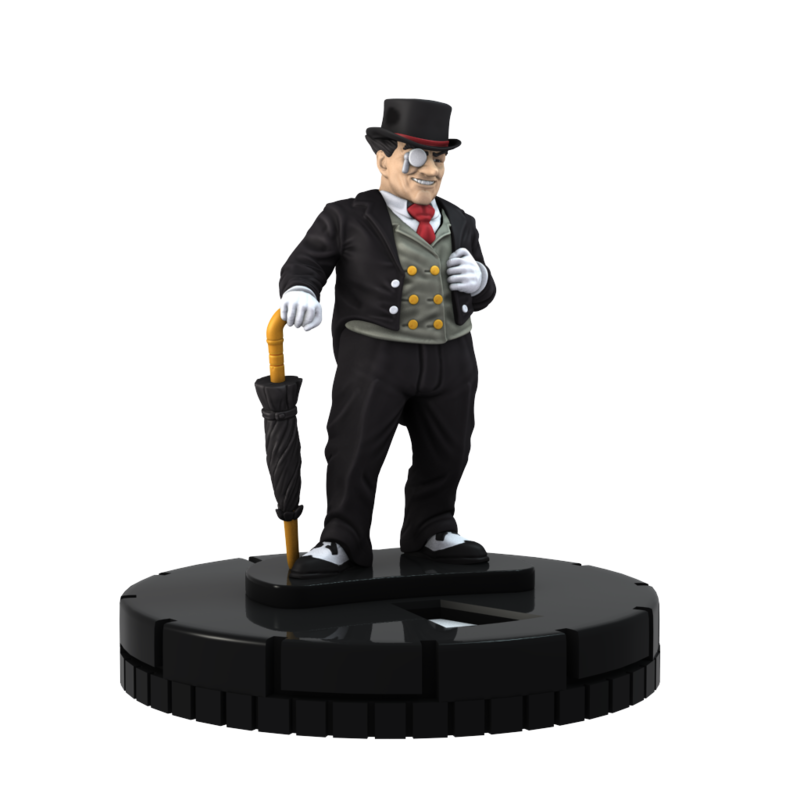 Information is used for leveling (see below) and moving your Villain and henchmen through the blocks of Gotham City. 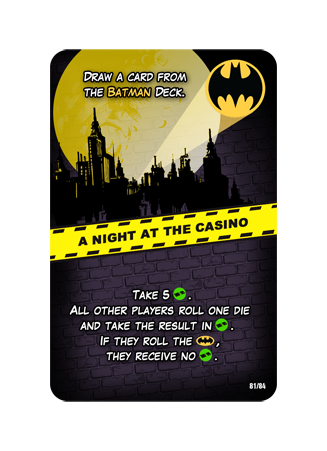 E ach turn a player will play a Criminal Plot card which will either produce an income for the ruler of a certain block or it will trigger the Bat Signal— calling in Batman! 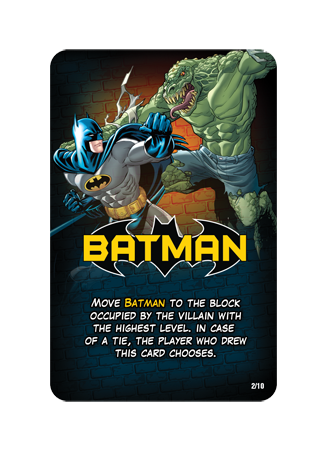 When Batman moves into a block with a Villain, a fight occurs using the two custom Batman dice included with the game. If Batman wins, the Villain and their henchmen must flee back to their Hideout and Batman restores order in that block of Gotham City. 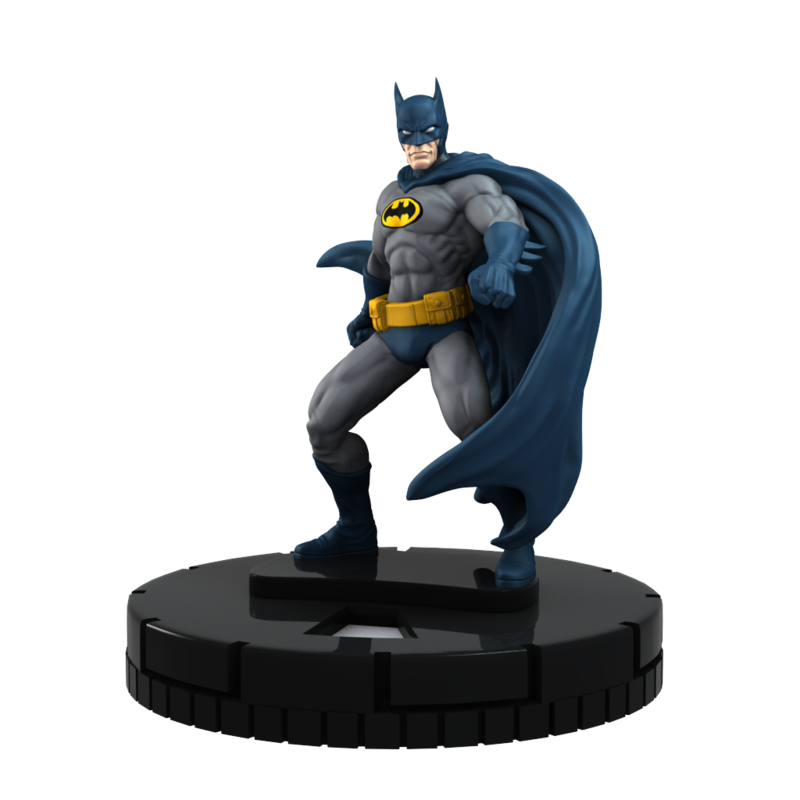 If the Villain wins, they have defeated Batman…for the time being…Batman returns to the Batcave, increasing his combat effectiveness as he plans for the next encounter. Each Villain has a combat dial with 10 levels. 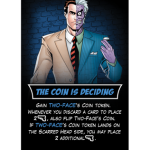 Each click of the dial shows a requirement that you will need to advance to the next level—Information, Money, Henchmen, Blocks Controlled. The first player to reach Level 10 with their Villain wins. 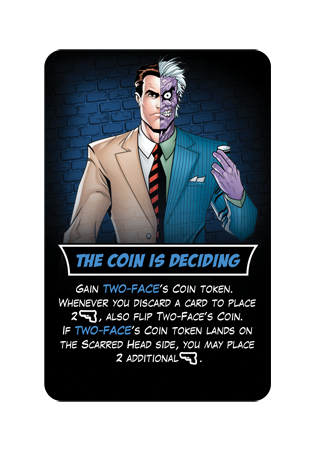 On every even number level, players will acquire special abilities that are unique to their Villain. 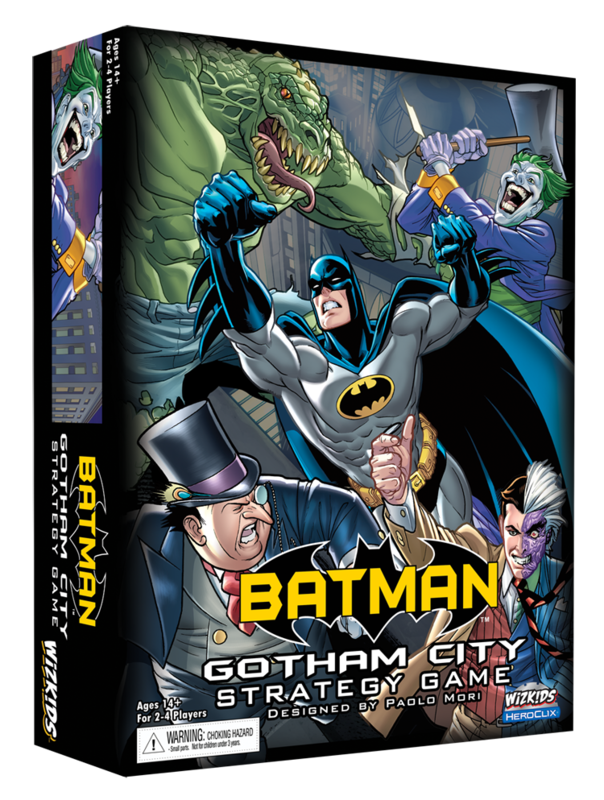 The Batman: Gotham City Strategy Game is a unique combination of Euro-style sensibility combined with the best elements of Ameri-trash theme and design. 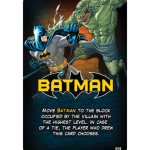 The core game mechanic is worker placement— placing your Villain, henchmen and Threat tokens to control blocks of Gotham City so as to produce the most income possible—overlaid with thematic elements that bring the stories and the characters of DC Comics Batman to life. 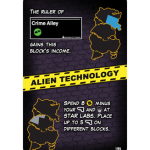 The struggles by players for control of blocks— through resource placement or through face offs between Villains— make for a high level of player interaction. 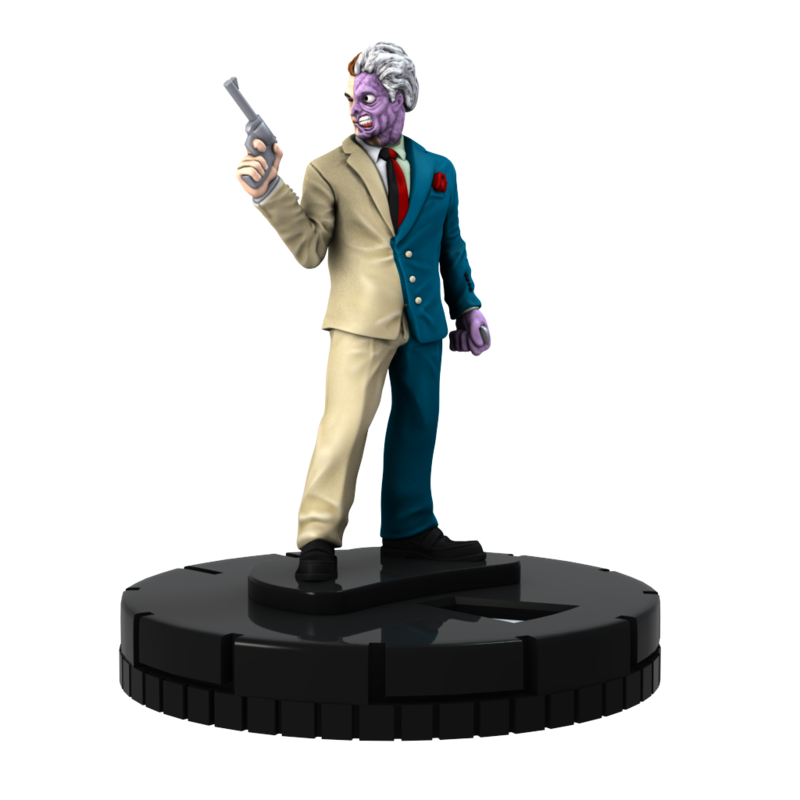 Each Villain has their own strengths and weaknesses a nd play much differently from one another significantly adding to the replay value of the game. 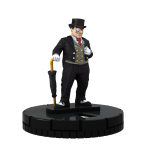 We are confident that fans of DC Comics Batman and fans of tabletop and strategy gaming alike will both appreciate and enjoy the Batman: Gotham City Strategy Game.